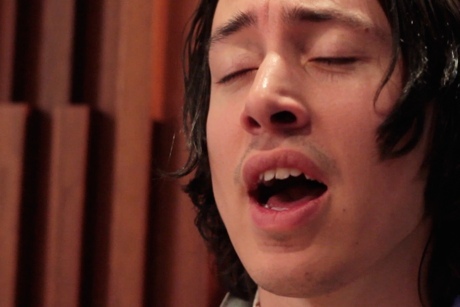 Noah Gundersen has been recording music for nearly half of his 25-year life, giving him the necessary skills to self-produce his debut LP, Ledges. However, he didn't have to worry about that side of things when he and his singing violinist sister Abby Gundersen met up at The Drake Hotel to perform a stripped-down rendition of "Dying Now" for Exclaim! TV. With Noah's acoustic guitar as the song's base, watch as he and his sister deliver an impassioned and album–accurate take on the song, complete with a swelling climax and calming conclusion. Noah Gundersen will be performing at a number of festivals around Canada this July, including a stop at the Toronto Urban Roots Fest. For a preview of the quality you'll be in for, check out the Exclaim! TV session below.